For CNC Lathe Milling Drill Machine. Cooling stone / metal / ceramic tile engraving machine. Great Value - Processing the coolant can save more than 80%, the cooling effect is no less than the conventional water-cooled. Working Safer - Gas processing chips are blown away, working safer; A lot of water problem solving tools, easier to clean up. Save Time - Not only increases the machining cutting speed, save time and reduce processing costs and tool wear. Easy To Use - Air flow and spray mist volume adjustable design, easier to use. Widely Used - In the liquid without pressure output required to ensure that the air pressure in the range 5-7KGF / CM2. 1.The product is a laser carving machine for home use, a tool machine, can not be compared with laser carving machine for industrial use. 2.Do not use the laser head to point at human or livestock,do not use laser to point at people's eyes. 3.Laser has power.skin exposure to laser is strictly prohibited. 4.The caving machine should not be stopped while working, it will cause a damage. 5.Do not fall or make any collision to the product. 6.The shell with laser cutting technology,sharp edge,please pick up and down gently to prevent scratches. 7.Metal, glass, crystal and transparent or translucent stuff are can not be engraved. 8.The color of the item may vary slightly due to photography and different PC monitor, and the size might be slightly errored due to manual measurement. Your kindly understanding would be appreciated. 9.You might need to temporarily shut down the antivirus software before downloading the software. Otherwise some files in the software would be mistaken for virus and deleted by antivirus software. 10.Please according to the user manual to operate the machine. After 20 minutes of working, it need to take a break, can not work continuously for a long time.  Engraving Range 7.5*7.5CM. Light weight design, fine workmanship. Super multi positioning holes make carried objects effectively and stably. 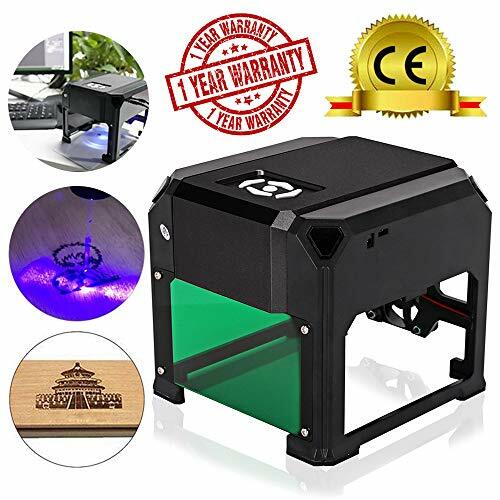  Wide range of uses 3000mw laser carving machine is ideal for home use, an Amazing Cool Desktop DIY Tool. Perfect for Decoration Engraving or Customize your small lovely belongings, it will sure meet your satisfaction. Wood, Plastic, Bamboo, Rubber, Leather, Greeting Card, Paper and other Flammable Materials (Note it can't carve metal or glass).  Simple Assembly Download the English manual and software: https://my.pcloud.com/publink/show?code=kZiGWt7ZlJicUGRASr7PgBS6BBNpD42vmRgk. Instruction and softeware are included in Package or visit this link to get the instruction and software.  100% service satisfactory If you have any questions about this engraving machine, please do not hesitate to contact us, we will reply for you in 24 hours. 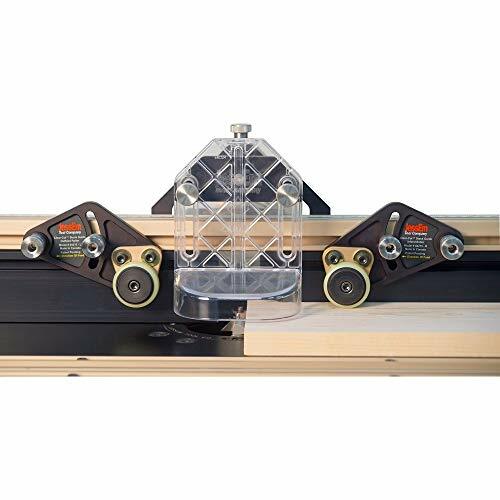 JessEm Clear-Cut Precision Stock Guides are the ultimate hold-down on the router table. 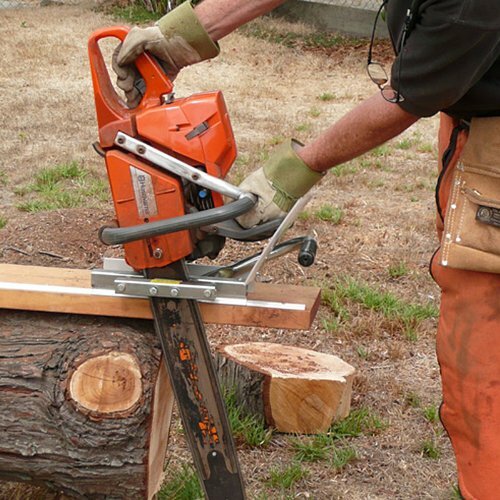 Featherboards are limited in their ability to guide material accurately against a router table fence while Clear-Cut Stock Guides operate on the same principle as a stock feeder in that the stock is guided at a slight angle as it is fed forward. Rollers with one-way needle bearings are mounted at an angle, effectively steering your stock toward the fence. Stock is pulled tightly to the fence, and the gripping force of the rollers holds it securely in position. New Version: Genmitsu CNC 3018-PRO is an upgraded version of 3018. 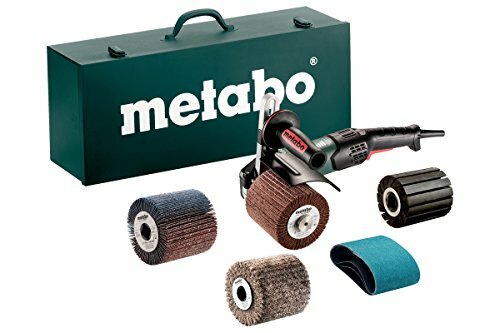 All components do not need to be positioned, which greatly reduces the difficulty of assembly and improves the working accuracy. Moreover, the base height is raised to 4cm for a better stability. Integrated: With an integrated mainboard and custom software, communication between the software and hardware is seamless by design. Software: The Genmitsu uses Grbl, high performance, open-source software for controlling movement, and runs on Arduino. Its dependability and simplicity make Grbl an industry standard, so there's no lack of support and resources available when you get stuck. Versatile: Capable of cutting all types of plastics, soft aluminum, woods, acrylics, PVCs, and PCBs, the Genmitsu can be used on a wide range of projects and materials. Simple Assembly: Assembly instructions are provided, but if you get stuck, check out the SainSmart wiki page or contact us with any questions that arise. ONE YEAR WARRANTY covered. Some components and core components have been assembled, simply hand assembled according to the installation instructions, you can use the rack. Supported System: Windows XP / Win 7 / Win 8 / Win 10 / Linux. Drill bits: tip 0.1mm ,20 degree , diameter3.175mm. the package include 10pc. can be engraved plastic, wood, acrylic, pvc, pcb, wood or the like material. New Version: CNC 3018-PRO is an upgraded version of 3018. Control software: GRBL; Working area: 30x18x4.5cm; Spindle: 775 spindle motor (12-36V) 24V:10000r / min. Supported System: Windows XP / Win 7 / Win 8 / Win 10. The main two advantages of offline controller : 1,do not need to connect the computer; 2,do not need to download files. Manually adjust X, Y, Z axis location as engraving starting point, manually open or close spindle, manully open or close cooling fan. Simple Assembly: Download the English manual and software: https://s3.us-east-2.amazonaws.com/3018pro/MYSWEETY+3018+PRO.zip. If you have any question, please contact us firstly, thanks! This engraving machine can be engraved plastic, wood, acrylic, pvc, pcb, wood or the like material. Drill bit can not engrave hard metal, jade or other hard materials. Some components and core components have been assembled, simply hand assembled according to the installation instructions, you can use the rack. Plastic body with a profile, small size, light weight, USB interface, GRBL control systems, learn to use the preferred entry. Either by inscribing, and can be carved with lasers(not include). 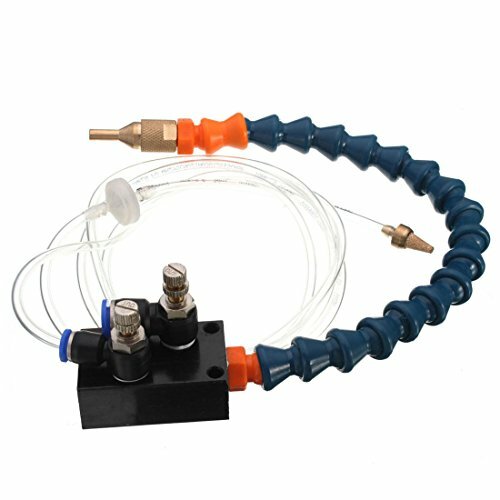 You can buy the laser head on asin: B07334WBC9, B07GR29FZR, B07GR22BL4. The Granberg Edging Mill (formerly known as the Mini-Mill) makes an ideal partner to the MK-IV Alaskan Mill. 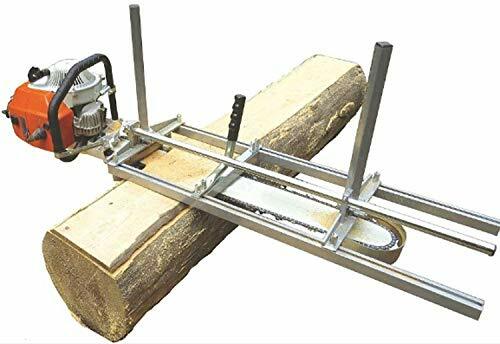 This compact vertical milling attachment squares logs to make beams for timber frame construction, and cuts beams to precise lengths and widths for flooring, sliding, or trim. Also great for making plunge cuts to make dimensional lumber in conjunction with your Alaskan Mill. These touch plates make setting your tool height and zeroing your z-axis a breeze. These are fully functional in Mach 3 and many other CNC controller software. The wire connect on the control panel interface. The clip and the control board GND (negative) is connected. The tool can be clamped portion of the operation when the knife with a clip. When the tool contacts the knife that the process is complete. Manual measuring, please allow 0-1cm error,thank you. Due to the difference between different monitors, the picture may not reflect the actual color of the item. Thank you!!! 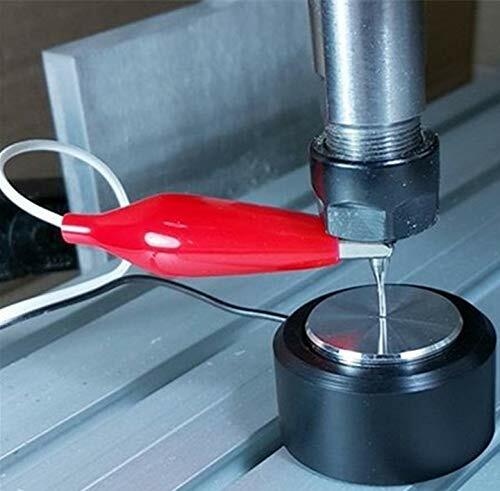 CNC Z-Axis router mill touch plate Mach3 tool setting probe new milling hot kit. CNC router mill: Z-Axis tool setting touch plate works w/ Mach3. But the side cover use aluminum to repace plastic, and with 4pcs more plane bearing,the wire rod,track,Middle link block ect are wider than 6300.It is stronger than 6300. Mini multifunctional working table 6330.The table is suitable for mini drill and drill bracket series. It can also be applied to other suitable machines. 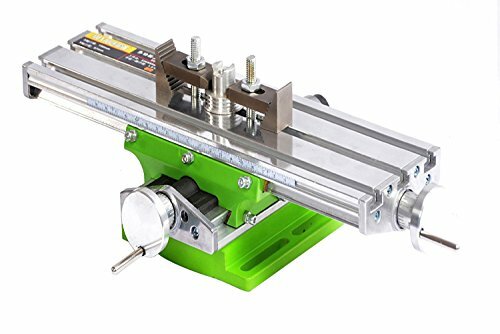 The work table is composed of several adjustable dovetail slot aluminum alloy composition, can guarantee the minimum space and ensure the accuracy. 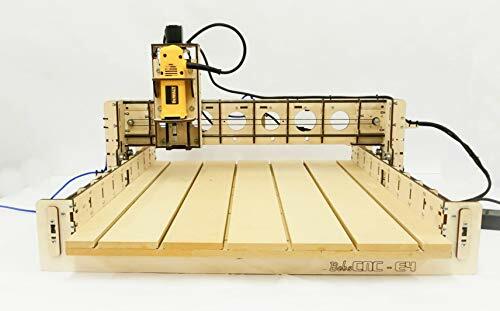 The E4 CNC router comes with the DW660 router and Arduino based microprocessor using grbl that is connected thru a communications port thru a USB connection. We recommend the Universal Gcode Sender Platform Version which is a Java-based software that will run on Windows, OSX, Linux, and Raspberry Pi. Please visit our web page where you can download and review the assembly manual and quick start guides. A rigid laser cut frame. GT2 belt drive on X and Y axis. 5/16-18 nut on the Z axis. Portable system can be easily transported to remote logs. If your interface board has the limit switch port or other probe port, you can connect it to that port. If your interface board does not have that port, your driver board has that port, you can connect it to the driver board's limit switch port. Then in the Mach 3, you need to setup the probe (Mach3 --- Config---Ports and Pins---Input signals Probe enabled , the pin number type the one you use) and the Auto-Tool-Zero. in the attachment, it is the code, you can edit it as your requirements. The CNC router engraving machine tool has approximately 4 foot cord. Compatible with mach 3 and other software. Makes setting tool height a breeze, no more using a sheet of paper. High quality atomic market product. Effective surface of the knife: 25mm diameter. Come with alligator clips. Made of high quality casting steel for long life and increased durability. All parts heat treated. Table size: 365 200 mm. Weight: 6.8 kg X axis distance is 350 mm. Y axis distance is 100 mm. Hand Wheel Scale Per Ring is 3 mm. It can also apply to other suitable machine. 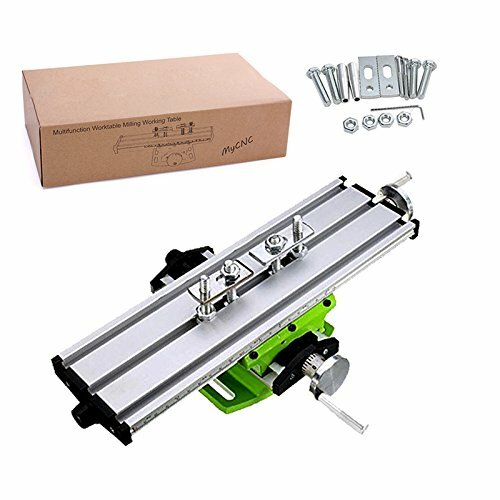 The work table is composed of several adjustable dovetail slot aluminum alloy composition, can guarantee the minimum space and ensure the accuracy. X axis distance is 350 mm. Y axis distance is 100 mm. Hand Wheel Scale Per Ring is 3 mm. 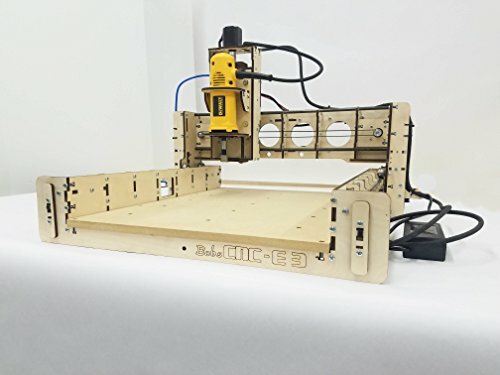 The E3 CNC router comes with the DW660 router and Arduino based microprocessor using grbl that is connected thru a communications port thru a USB connection. We recommend the Universal Gcode Sender Platform Version which is a Java-based software that will run on Windows, OSX, Linux, and Raspberry Pi. Please visit our web page where you can download and review the assembly manual and quick start guides. 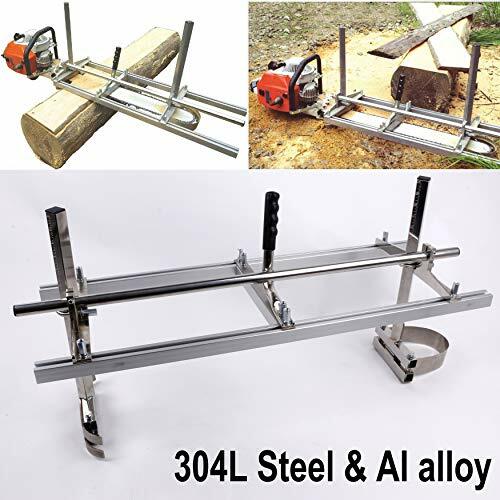 chainsaw mill Portable Chainsaw mill 36" Inch 304 Steel Planking Milling Bar Size Cutting Milling 14" to 36"
100% Satisfaction Guarantee. We care that every single one of our customers are happy and are always looking to do better. If you have any question, please contact us in time, we will reply in time. 2. 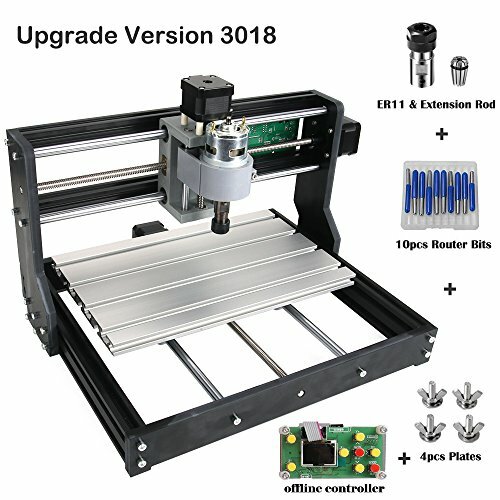 Mini CNC machine : plastic body with a profile, small size, light weight, USB interface, GRBL control systems, great cnc router machine for beginers. 3. 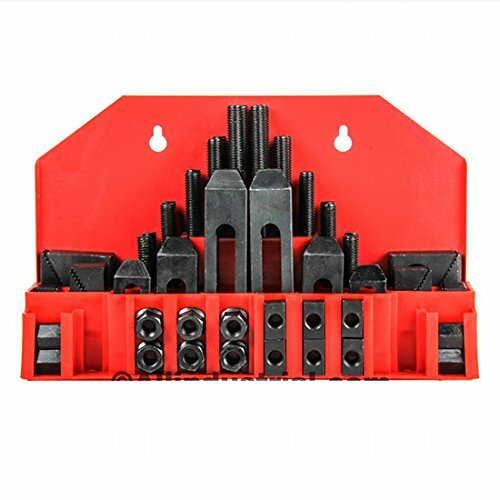 Package include : CNC machine kit comes with 1pcs Full set engraving machine;1pcs offline controller;4pcs clamp;10pcs bits;1pcs extension rod with ER11 collet;. Pls see our mine picture to get detail. 4. Detail : Control software: GRBL; Working area: 30x18x4.5cm; Spindle: 775 spindle motor (12-36V) 24V:10000r / min. 5. 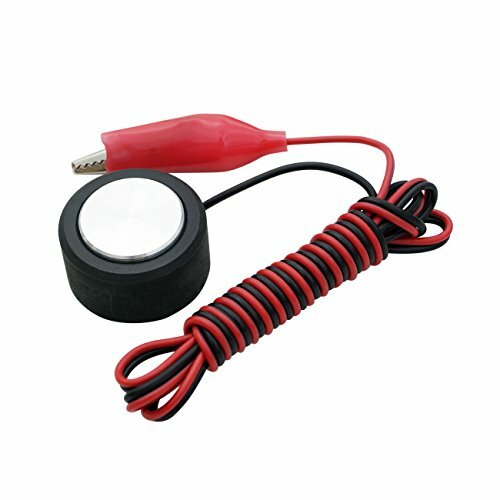 Wide application : can be engraved plastic, wood, acrylic, pvc, pcb, wood or other like material. Frame Dimensions: 40x33x24cm(15.7 x 13.0 x 9.4") . Working area : 30x18x4.5cm(11.8 x 7.1 x 1.8") . Spindle: 775 motor, 12V, 3000 RPM; 24V, 7000 RPM; 36V, 9000 RPM. Power supply : 24V 5.6A adapter. Stepper motor: fuselage length 34MM,Current 1.33A, 12v.Torque 0.25N/M. Supported System: Windows XP / Win 7 / Win 8 / Win 10. Drill bits: tip 0.1mm ,20 degree , diameter 3.175mm. What are the main two advantages of the manual controller? 1. Do not need to connect computer. we can download the needed carving files into o-linecontroller(usb or TF card reader available). 2. Do not need to downlood any files. The of-line controller can control all actions, can directly do somesimple curving, such as punching, curving rectangle shape and so on. 1 Manual control: manually adjust the position of the three axes of XYZ as the starting point of carving, manually open or close the spindle. 2 Document engraving: the offline board can be linked to the GRBL control board for carving without storing a computer. 3 Storage file: After the offline board is connected to the computer, it is recognized as a USB mass storage device, and the engraving file can be directly accessed. The USB socket on the board showing [Reader] can be connected to the computer with the Android data cable. 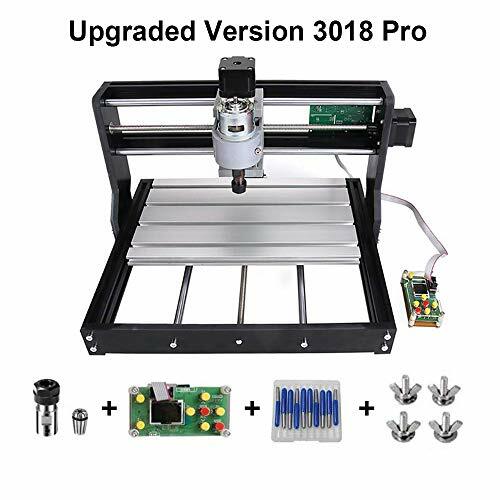 Upgraded Version: CNC 3018-PRO is an upgraded version of 3018. All components do not need to be positioned, which greatly reduces the difficulty of assembly and improves the working accuracy. 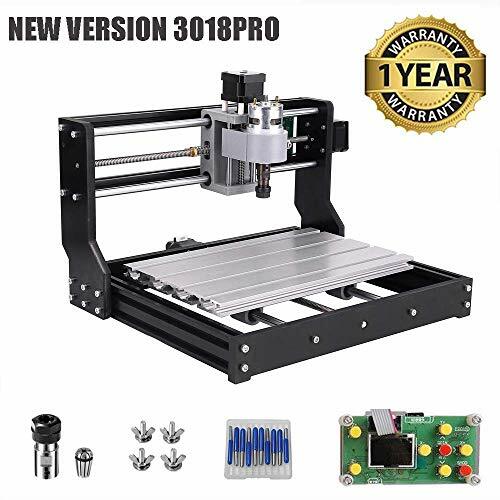 Software: The 3018-PRO uses Grbl, with high performance and low cost, is based on parallel port motion control for CNC engraving. It can run in Arduino. It can maintain stable and unbiased control pulses over 30kHz. Grbl contains a full range of prospective acceleration control. It means that the controller will advance 16 to 20 movements to plan the running speed to achieve a steady acceleration. Wide Application: Can be engraved all types of plastics, soft aluminum, woods, acrylics, PVCs, and PCBs, this CNC machine can be used on a wide range of projects and materials. High Quality: Plastic body with a profile, small size, light weight, USB interface, GRBL control systems, learn to use the preferred entry. Either by inscribing, and can be carved with lasers(not include).